BladeHaven is our newest game. it's got FIRST PERSON slashing action, achievements, terrified villagers, Jimmy The Eye... pretty much evertyhing you'd want out of a single-player, first person webgame! 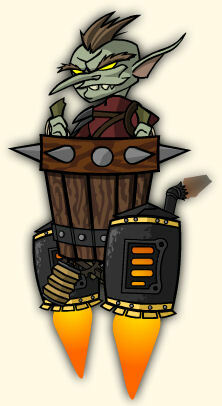 Beta Testing for this game begins today! You'll need a Battleon Master Account linked to your other game accounts if you want to be one of the first to play BladeHaven. IF YOU HAVE A BATTLEON MASTER ACCOUNT & YOU HAVE LINKED YOUR OTHER AE GAME ACCOUNTS TO YOUR MASTER ACCOUNT, then you should see if you qualify to Beta test! Warlic has just added a Beta Tester Achievement Badge to the game, (which you won't see if you are just creating a character) and best of all, if you get the "Mercernary Contract" item in BLADEHAVEN then you automatically recieve the Non-Member Mercenary Gnome pet in AQW! 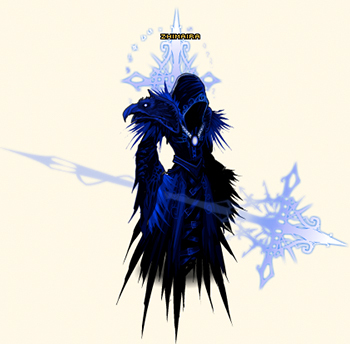 We only have our second birthday once so, by popular demand, the AQW Birthday Event is being Extended but it won't last forever. Once the event leaves the nearly all of the items fo with it. If you haven't gotten the item that you wanted from the event yet, now you have a little more time! If you still want to become a 2nd Upholder you have time! 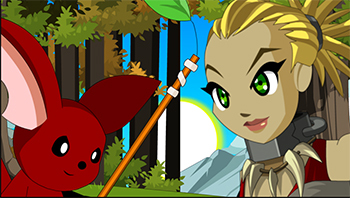 Remember, this will be your ONLY chance to get the 2nd Upholder Badge and the Onyx Start Sword! Tomorrow, you will be able to relive all the Mogloween fun for the past 2 years starting TOMORROW! You will even be able to grab a few of the Seasonal Rare Drops and AC items, but the SEASONAL RARE SHOP and the PUMPKIN LORD CLASS will be released alongside a number of ALL NEW spooky Mogloween items in NEXT week's all new Mogloween adventure! We're trying out our new merge shop system in next week's release so you will need to complete quests and farm monsters ro different types of candy that you can excahge for all the great Seasonal Rares in the shop! Also starting tomorrow, you run to the top of Arcangrove Tower with your (kind of) completed Supreme Arcane Staff and enter the Para-Elemental Plane of Magic! With Rayst by your side, you'll have to take on the legenday Mana Golem! You're closing in on Chaos Lord Ledgermayne. Can you stop him from sapping all the magic from Lore? 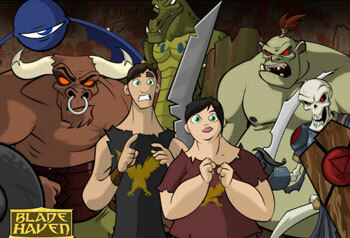 BladeHaven is a first person sword fighting game. Watch the trailer at BattleOn games! The game uses the "ONE LOGIN TO RULE THEM ALL" to save your progress, earch achievements... and even EXP for your master account. 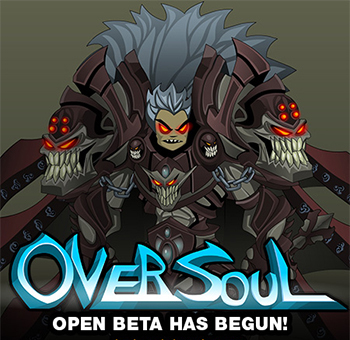 The BETA is starting Thursday for AQWorlds Members, Guardians, DragonLords, Star Captains, etc. Learn more and see if your account qualifies for BETA testing.